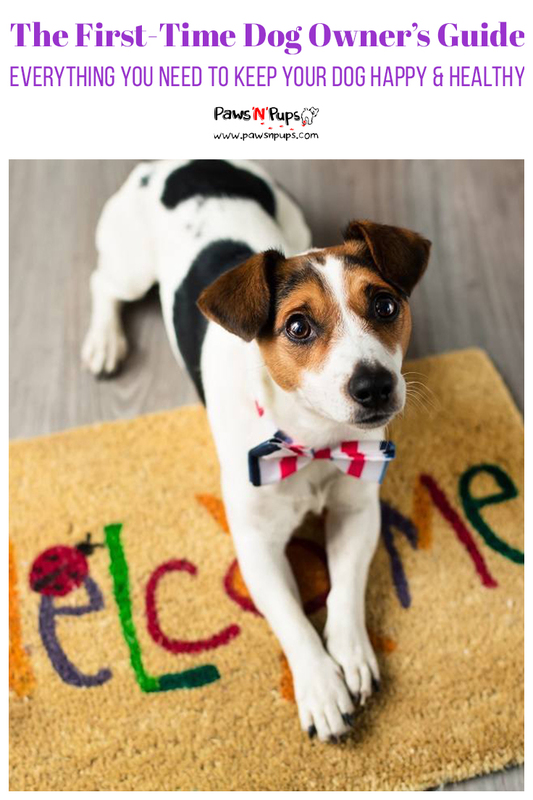 Paws ‘N’ Pups has put together the most comprehensive guide available to help you understand responsible dog ownership. If you recently brought home a puppy, put down a deposit on a puppy, or are simply thinking about getting a puppy, then you must read through this guide to really understand what it means to own, care for, and commit to a dog. This guide is divided into three major parts. For your convenience, you may use the table of contents to help you navigate throughout any part of the guide, or save the link directly to that piece of information. Nothing is more adorable than a roly-poly little puppy. But getting a puppy is a big responsibility and not a decision that should be taken lightly. When you bring a puppy into your life, you are making a commitment of at least 10 years, up to 20 years. It will be your job to provide for your puppy’s needs – that includes feeding him a healthy diet, making sure he gets regular veterinary care, and training him to be an obedient adult dog. But owning a dog is not all work – it is a lot of fun as well! To ensure that your transition into dog ownership is as smooth as possible, take the time to learn everything you can before you even start to shop around for puppies. In this article, you will find a wealth of information about all aspects of first-time dog ownership from choosing the right breed and finding a responsible breeder to preparing your household for your puppy’s arrival. You will also receive tips for socializing and training your puppy, plus plenty of information about choosing a healthy diet that will support your puppy’s long-term health and well-being. So, if you are ready to take the next step and learn about what it means to be a dog owner, just keep reading! All the information you need to know is provided in the following pages. Before you even start to shop around for puppies, there are some important things you need to do first. For one thing, you need to be absolutely sure that you can provide for a puppy’s needs. Puppies require a lot of time and attention, so be prepared for that. You also need to realize that owning a dog is expensive and it’s an expense you will have to think about for at least the next ten years. So, before you start thinking about what kind of puppy to get and where to get him, educate yourself about the costs of dog ownership as well as the level of commitment involved. Once you’ve learned about those things, you can move forward to choose a dog breed and to decide whether you want to buy a puppy or adopt an adult dog from a shelter. Some dog breeds sell for as little as $250 while others can cost $2,000 or more. When you think about the costs of dog ownership, you can probably identify some of the major ones – namely, the price of your puppy. But the cost of your new puppy is just one of many costs you will have to cover during the first year of dog ownership. Once you have gotten through the first year, your costs will normalize a little bit, but you’ll still have to think about monthly expenses. Below is a summary of most of the major costs you should expect to incur in the first year of dog ownership. Purchase Price for Your Puppy – This is probably the largest expense you will have when you decide to become a dog owner. The cost for a puppy will vary greatly depending on the breed of dog, the quality of breeding, and where you get the puppy. Some dog breeds sell for as little as $250 while others can cost $2,000 or more. Some breeds are simply more desirable than others, which drives up the price, and puppies bred from champion show dogs will be more expensive than puppies that come from unplanned litters. The cost to purchase a puppy from a breeder is generally higher than adopting a dog from a shelter, so think about all of your options before you decide what to do. Puppy Crate or Kennel – Before you bring your puppy home you’ll want to set up a special area of the house that he can call his own. You can block off this area using puppy playpens or baby gates – you can also use a small room like an extra bathroom in the beginning. In this area, you should plan to put your puppy’s crate or kennel. This crate should be just large enough for your puppy to stand up, sit down, turn around, and lie down in comfortably. You don’t want your puppy’s first crate to be too large because it could increase the likelihood of him having an accident. If you use the crate right, your puppy will come to think of it as his den and dogs have a natural aversion to soiling their den. This may also mean that you have to buy another crate later if your puppy outgrows the first one. The average cost for a small dog crate is under $50, though larger crates may cost more. Bedding – To make your puppy’s crate more comfortable for him you can line it with towels or old blankets. You probably don’t want to invest in a high-quality dog bed until your puppy is housetrained because he may ruin it. Another option is to line your puppy’s crate with an old blanket and place a nicer dog bed somewhere else inside his enclosed area so he can take a nap in a comfy spot when he’s not confined to his crate. Toys and Accessories – While your puppy’s crate is the most important thing you’ll need, you will also need to buy him a collar, a leash, a harness, and an assortment of different toys. Your puppy’s leash and collar should be appropriate for his size, so you may have to buy new ones as he grows. For toys, start with a variety of different types (make sure to include some chew toys) so you can see what your puppy likes. Then, simply replace any toys that your puppy destroys with similar options, so he always has something to chew on – besides your shoes! Cleaning/Grooming Supplies – Another aspect of dog ownership that you need to consider is grooming your dog and cleaning up after him. 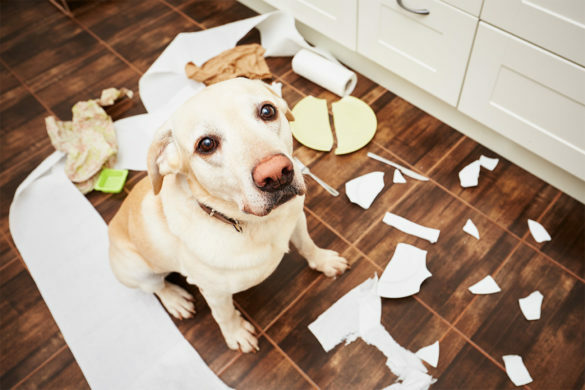 While you are housetraining your puppy, you should be prepared to clean up a few accidents. Avoid harsh chemical cleaners, opting for all-natural and fragrance-free options instead. For grooming supplies, you’ll need an assortment of brushes and combs, some dog shampoo, dog ear cleaning solution, cotton swabs, and nail clippers. Again, when choosing grooming products for your puppy try to go with a natural option that isn’t loaded with chemicals and fragrances. You may also want to buy a dog toothbrush and toothpaste so you can start early with healthy dental hygiene habits for your puppy. Veterinary Care – If you purchase a puppy from a breeder, he will probably already have a few shots under his belt before you bring him home. But puppies need a variety of different shots during their first year of life to establish immunity to common diseases – after that, you’ll only have to worry about booster shots once a year or every three years. 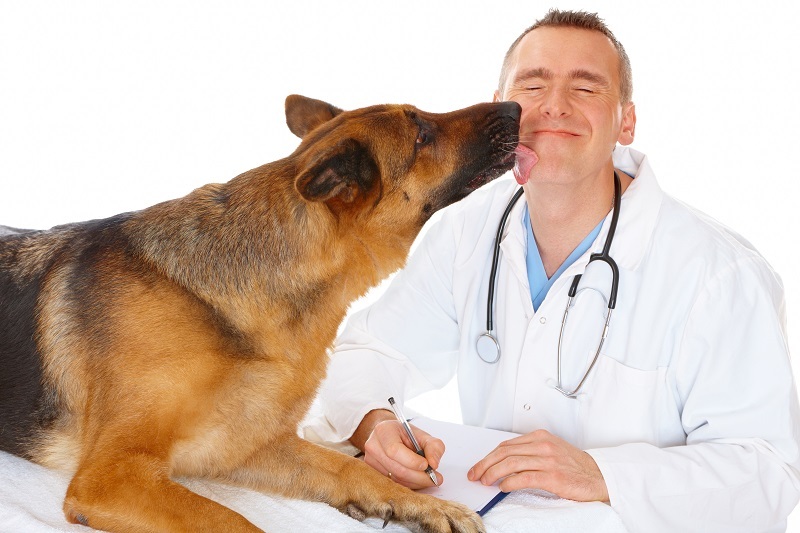 In addition to vaccinations, you’ll want to have your puppy examined by a vet twice a year just to monitor his health. The average cost for a vet visit is under $50 and you may spend up to $100 on shots the first year. Spay/Neuter Surgery – Another significant expense you need to think about before bringing home a new puppy is the cost of spay/neuter surgery. Having your puppy spayed or neutered can reduce the risk for behavioral problems (like urine marking) as well as certain diseases (like breast cancer and other cancers). If you take your puppy to a regular veterinary surgeon, the cost for spay surgery could be up to $500 and neuter surgery will be in the $100 range. You can save money by taking your puppy to a vet clinic instead. Puppy Food and Treats – Though food and treats are more of a recurring monthly expense, you’ll still need to stock up before you bring your puppy home for the first time. While there are certainly inexpensive pet food brands out there, they are generally not the kind of product that will be good for your dog. You want to buy the highest quality product you can consistently afford, so be prepared to spend as much as $35 to $50 on a large bag of dog food. Puppies of different sizes and breeds will have different requirements for the amount of food they need, so keep that in mind as well. Review each of the costs above very carefully to ensure that you can provide for your new puppy’s needs financially. If you don’t feel confident that you can cover each of these costs now, take some time to save up before you get a new puppy. In addition to thinking about the financial implications of becoming a dog owner, you also have to think about the level of commitment involved in this decision. When you make the choice to become a dog owner, you are choosing to become not only that dog’s best friend and companion but also his caregiver. Especially for new puppies, your dog will rely on you to fulfill his basic needs for food, shelter, exercise, and attention. You’ll also be responsible for socializing and training your puppy. Socializing a new puppy is relatively straightforward – it simply involves exposing him to as many new things as possible – but it does require a commitment of time and a certain degree of effort. When you bring a puppy into your life, you are making a commitment of at least 10 years, up to 20 years. There is no good way to estimate the time commitment involved in getting a new puppy. You should, however, be prepared to spend most of the first few days at home with your puppy until he gets used to his new surroundings. This could mean taking time off work, or you could plan to bring your puppy home on the weekend. During the first few weeks at home, you’ll have to supervise your puppy very carefully and work to set and enforce boundaries – these are the building blocks for housetraining and obedience training that will come later. When you bring your new puppy home, you’ll want to spend as much time with him as you possibly can. It is very important that you work to build a strong bond with your puppy from the very beginning. Your puppy will be naturally inclined to love you, but you want him to trust you as well. And don’t forget that trust goes both ways! You’ll need to take care of your puppy and treat him with respect in order for him to trust you back. Having a strong bond of trust with your puppy will be very important when it comes time for obedience training. If you don’t have a strong bond with your puppy, he will be less inclined to listen to and respond to your commands during training. One of the most important factors you need to consider when choosing a dog breed is size. Dogs come in all shapes and sizes ranging from the tiny Chihuahua to the massive Great Dane. Think about your living situation and how much space you have for a dog – smaller dogs are ideal for apartment and condo life while larger dogs do best when they have a bigger home and plenty of outdoor space. You also have to think about your ability to control a larger dog. If you are a first-time dog owner, you probably don’t want to start with a 130-pound Mastiff! In addition to thinking about your ideal dog’s size, think about what kind of temperament you are interested in. Each dog is unique in terms of personality, and you will have some degree of control over how your dog turns out, but different breeds have different temperaments. Think about whether you want a dog that is going to be friendly with everyone he meets or if you want a dog that has strong protective instincts and can be used as a guard dog or watchdog. Consider whether it is important to you that your dog gets along well with children and how he does around other dogs and household pets. Think about how much time you have to devote to your dog as well because some dogs need more attention than others. While temperament is a big factor in determining your dog’s behavior, exercise requirements are closely linked. For example, if a dog with high exercise requirements is forced to stay in the house all day, he won’t be able to work off his extra energy, and he will be more likely to develop behavioral problems out of boredom and frustration. If you only have thirty minutes to devote to exercising your dog each day, choose a breed with a lower energy level. Just remember that dogs with moderate to high energy levels need at least one daily walk – play sessions and free time in the yard won’t cut it. 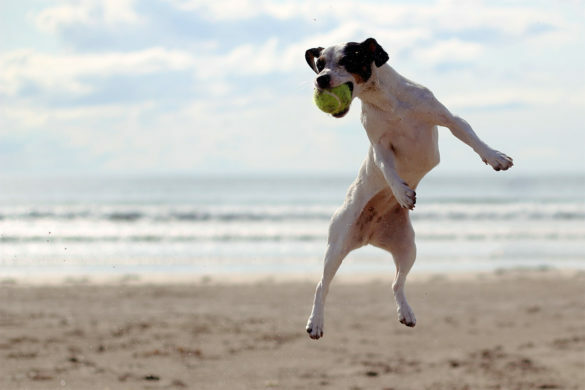 Read this article for five simple tips to keep your dog active. Another important factor to think about is trainability. Some dog breeds are simply more intelligent than others and the smarter the dog, the more trainable he will be. Of course, some of the most intelligent dogs were bred to work – many of these dogs (like livestock guarding breeds) can be somewhat aloof at times and they may also have a bit of a stubborn streak. Take these qualities into account when choosing a dog breed. And remember that the strength of the bond you have with your dog will also impact how well he responds to commands. In addition to training your dog, you’ll also have to take care of his coat. Some dogs have single coats while others have double coats. A double coat usually consists of a soft undercoat to keep the dog warm in cold weather with a harsh outercoat that repels water. The amount of time you’ll have to spend grooming your dog will be greatly influenced by the type of coat, as well as the length. Dogs with longer coats generally require more maintenance because their coats are more prone to tangles and mats. Even dogs with short coats, however, can shed profusely. So, do your research ahead of time to determine how much shedding you can look forward to with the dog breed of your choice. Finally, you’ll want to take breeding history or lineage into account. Do you prefer a pure breed or are you okay with a mixed breed? It’s also important to consider that there are different levels of breeding for some dogs. For example, the Standard Poodle is a very popular breed for show but these dogs also make great family pets. So, if ftips you are considering a Poodle, you’ll have to decide if you want a show-quality dog or a pet-quality dog – there will be a significant difference in price. It is also important to realize that the quality of a dog’s breeding can have an impact on his health – some dog breeds are prone to hereditary health problems, so responsible breeding is vital. If you are having trouble deciding what kind of dog to get, try taking an online questionnaire. Animal Planet offers a great breed selector questionnaire that will help you find a breed suitable to your preferences. Your answers to these questions will help you to narrow down your search for the ideal dog breed. When you purchase a puppy from a breeder, you typically get to pick out the puppy yourself – you may get to interact with the puppy first as well. Purchasing a puppy from a breeder means that you know exactly where the puppy came from and you are more likely to have information about his genetics. Most responsible breeders offer a health guarantee with their puppies which protects you in case your puppy develops an inherited health problem. The puppy phase is fun and exciting – there is nothing cuter than a puppy. When you buy a puppy, you have some degree of control over the kind of dog he grows up to be – early training will yield a more obedient adult dog. Purchasing a puppy from a breeder is typically much more expensive than adopting a dog from a shelter or dog rescue. As they grow and mature, puppies change a little bit in terms of personality and temperament – you do not always know how your puppy is going to turn out. While the puppy phase can be fun, it also comes with challenges – it takes a lot of time and effort to socialize and train a new puppy. Buying a puppy involves more upfront costs than adopting a dog – you’ll have to pay for vaccinations and spay/neuter surgery yourself, in most cases. There are millions of homeless pets in shelters around the country, so choosing to adopt a dog could mean that you are literally saving a life. Many people also say that adopted dogs have a sense of understanding and they are grateful for being given a second chance. Adopting a dog from a shelter is typically much less expensive than purchasing a puppy from a breeder – the average cost for dog adoptions is under $250. Most dog shelters and rescues have their dogs examined by a vet and updated on vaccinations before adopting them out – many also require that their dogs be spayed and neutered, so you may not have to cover this cost yourself. 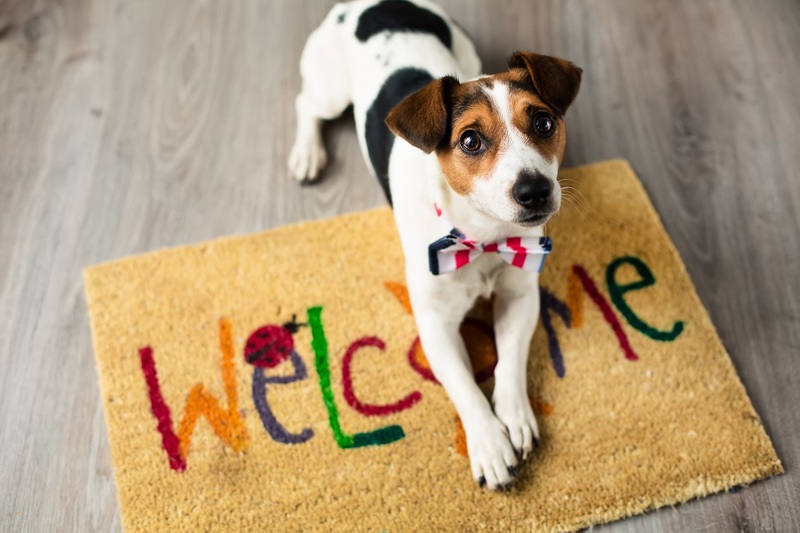 When you adopt an adult dog from a shelter, he will probably already be housebroken and may already have some obedience training under his belt as well. Adult dogs are also already set in terms of their personality, so you may be able to get a better idea if you and the dog get along. If you have your heart set on a particular breed, you may not be able to find it at a local shelter – you can put your name on a list or look for a breed-specific shelter or rescue. Many of the dogs that enter the shelter system have been abandoned or neglected – this means that they may have behavioral issues that might not manifest until they get home and recover from the stress of being in the shelter. In many cases, dogs are abandoned at shelters with little information about their history. When you adopt a dog from a shelter, you may not know where it came from, how it was bred, or if there’s a risk for inherited health problems. If you want to adopt a dog from a shelter, you’ll have to fill out an application, and there is no guarantee that it will be approved. Shelters take into account things like your living situation (do you own or rent? ), other household pets, and your experience with dogs. Here is an example of a few awesome rescue organizations who are doing their best every day to help dogs in shelters find their forever homes. By now you should have a better understanding of the things you need to think about when deciding what kind of dog to get. In fact, you may have already made up your mind! In either case, you are now ready to move on to the next step – learning about where to find puppies, how to identify a responsible breeder, and how to prepare your home for your new pet. Once you have decided what dog breed you want, you may feel like the hard work is over. In reality, however, you are just getting started. After you’ve decided what dog breed you are going to get, you have to think about where you are going to get it. Finding a puppy may seem as simple as walking into your local pet store, but that is generally not the best option. In this section, you’ll learn about the best places to look for a puppy, how to identify a responsible dog breeder, how to make a deal with a breeder, and how to prepare yourself and your home for a new puppy. If you do not have your heart set on a puppy – or if you don’t have a preference for the breed – you should seriously think about adopting from a shelter. Before getting into the details about the best places to find a puppy, you first need to know where NOT to look. When you’re ready to buy a puppy, your first thought may be to head to your local pet store. Unless the pet store gets its dogs from a local shelter or breeder, however, this is not an ideal choice. Many pet stores get their puppies from puppy mills and that is not something you want to support. There are thousands of puppy mills in the United States pumping out millions of puppies each year. You should always inquire about the history and original source of the puppies. If you are not provided with adequate information, chances are the puppies are not from a reputable source. Use your best judgment. A puppy mill is a commercial breeding facility where profits are more important than the health and wellbeing of the dogs used for breeding. Basically, dogs are forced to bear litter after litter until they are physically no longer capable of doing it any longer. These dogs are kept in squalid conditions – generally cramped, dirty cages – and they are often malnourished or riddled with disease. The dogs are not screened before breeding, so there is a high risk that the puppies that come out of a puppy mill will be carriers for inherited conditions and other health problems. When you purchase a puppy mill puppy, you may be inclined to think that you are “rescuing” the puppy from a bad situation. While this may be a noble thought, it frequently backfires. By purchasing a puppy mill puppy, you open up a space for another puppy mill puppy to take its place – you are supporting the puppy mill. You are also putting yourself at risk because you don’t know anything about the puppy’s breeding. He could very well develop a serious health problem down the line that will necessitate a lot of expensive treatments. It is also not uncommon for puppy mill puppies to get so sick that they die – do you really want to set yourself up for heartbreak? The American Society for the Prevention of Cruelty to Animals (ASPCA) provides additional information about puppy mills and the harm they cause. If pet stores are not the ideal place to look for a puppy, what is the right place? If you do not have your heart set on a puppy – or if you don’t have a preference for the breed – you should seriously think about adopting from a shelter. Paws ‘N’ Pups has a comprehensive list of adoption shelters in every state and province in North America. Click here to find adoption shelters close to you. You can get in touch with shelters close to you and find out about what dogs they are currently homing. Adoption is typically much more cost-effective than buying a new puppy as well. If you are absolutely sure that you want a puppy and you have a particular breed in mind, your best bet is to find a breeder that specializes in that breed. There are plenty of ways to find breeders – you can ask fellow dog owners, speak to your veterinarian, ask around at a local vet clinic, or do an online search. Paws ‘N’ Pups has many breeders listed in the breeders section, so you can start your search here. Buying a puppy is a considerable investment, so it is not something you want to rush. Before you even think about buying a puppy from a breeder, you need to make sure that the breeder is someone you want to buy from. Start by visiting each breeder’s website to see what kind of information you can dig up. There are many people out there who breed their dogs just to make a few extra bucks selling the puppies – these are not the kind of breeders you want to buy from. You want to find a breeder who has a lot of experience breeding dogs and who has a great deal of knowledge about the specific breed you’re looking for. 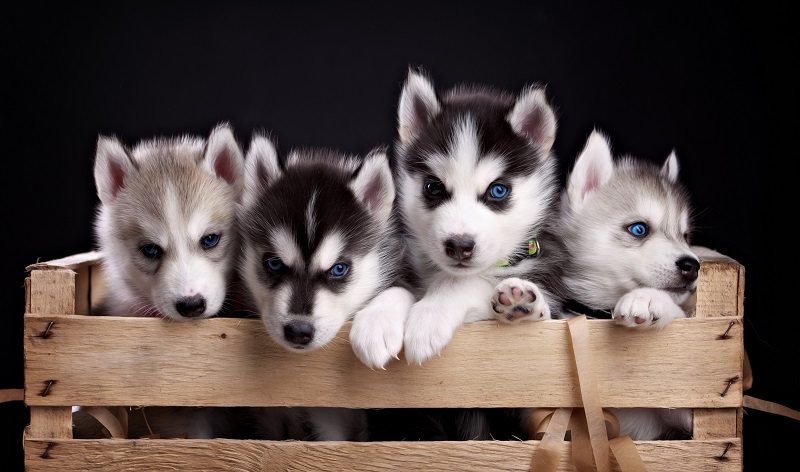 A responsible breeder will carefully choose his breeding stock (and will have them DNA tested for inherited health problems) to ensure the health of the puppies. Once you have your list of potential breeders, you’ll need to go through the list and vet each option to find the best choice. Below are some things you can do to vet potential breeders. Start by visiting each breeder’s website to see what kind of information you can dig up. Look for things like AKC registration, pictures of past litters, and testimonials from past buyers. Remove from your list any breeder that doesn’t seem to be affiliated with a breed club or whose website contains red flags. How long have you been breeding dogs and why did you start? What is your experience with the __________ breed? How do you choose your breeding stock? Is your breeding stock registered and/or do you have a breeding license? What kind of guarantee do you offer with your puppies? Can you provide references from past buyers? What do you look for in a buyer? Listen carefully as each breeder answers these questions – you are looking for a breeder who obviously has plenty of experience and who is open about his breeding practices. Any breeder who refuses to answer questions has something to hide. Pay attention to whether the breeder asks you any questions about yourself – a responsible breeder will want to make sure that his puppies go to the best home possible. Remove any breeders from your list who won’t answer questions or who don’t seem to have much experience. Visit each breeder and ask for a tour of the facilities. Keep an eye out for red flags such as unkempt facilities, signs of diarrhea (an indication of illness), and improper treatment. Ask to see the breeding stock as well as the puppies – they should all be healthy with no signs of obvious illness. They should also be properly socialized and not terrified of humans. Even after following all of these steps, there is no guarantee that the final breeder on your list will be a good option. It is important to keep your eyes open as you visit each breeder and be on the lookout for red flags. The Humane Society offers advice on picking a responsible breeder, and the American Kennel Club (AKC) also has tips on how to pick a responsible breeder. If you are confident that the breeder you’ve chosen is responsible and trustworthy, you can move on to the next step – making a deal with the breeder. After you’ve narrowed down your options and have chosen a breeder, the next step is to pick out your puppy and make a deal with the breeder. In the same way that you vetted a number of different dog breeders before making your choice, you should interact with all of the puppies the breeder has available so you can pick the one that is right for you. Follow the steps listed below as a guideline. Stand back and observe how the puppies are interacting for a while before you try to interact with them – they should display healthy activity without impaired movement. Step forward and let the puppies approach you when they are ready – they might be a little wary but they should not be openly frightened, their curiosity will likely overrule their wariness. Pay attention to how each puppy responds to you and look for one that you feel a connection with – you should be able to get a good sense for each puppy’s temperament just by interacting with them. Try picking some of the puppies up to see how they respond to being handled – it is natural for the puppy to squirm a bit, but it shouldn’t respond negatively to your touch. Narrow down your options until you have chosen the puppy who best meets your preferences and with whom you feel a connection. Once you have chosen the puppy you want, you’ll need to work out a deal with the breeder. Each breeder is different when it comes to reserving puppies, but you will probably need to make some kind of deposit. Never buy from a breeder who will allow you to take home a puppy that is less than eight weeks old or not fully weaned. While some puppies may be weaned earlier than 8 weeks, it is best to keep the puppies with their littermates until at least that age. Talk to the breeder about the deal before you sign anything or hand over any money. If there is a contract involved, read it carefully so you know exactly what it is that you are signing. Most breeders provide some kind of health guarantee that states if the puppy develops an inherited health problem, you can return the puppy. By that time, of course, you will have become attached, but it is still a good guarantee to have. You should also be mindful of any requirements that might void the contract such as failure to vaccinate your puppy or not having the puppy spayed/neutered. Once you’ve made a deal with the breeder of your choice, all that is left is to get your home ready for your new puppy! The first thing you should do is stock up on all of the supplies you will need, including at least a month’s worth of puppy food. It is a good idea to find out from the breeder what the puppy is currently being fed so that you can buy some of it. If you don’t like the food the breeder has chosen you can switch your puppy to a new food, but you’ll still need some of the old food so you can mix the two together and transition your puppy from one to the other. You’ll learn more about choosing a healthy puppy food in the next section. In addition to stocking up on supplies, you’ll also need to set up your puppy’s special area. Use a puppy playpen or baby gates to section off a portion of a room of your choice to make it into your puppy’s special place. Choose a room that isn’t completely isolated but also isn’t the center of attention – your puppy will need some quiet time to himself once in a while. Inside the penned off area, you should set up your puppy’s crate and bedding along with his food and water bowls. You’ll also want to keep some of his toys in this area so that he has something to occupy himself with when he is confined to this space. 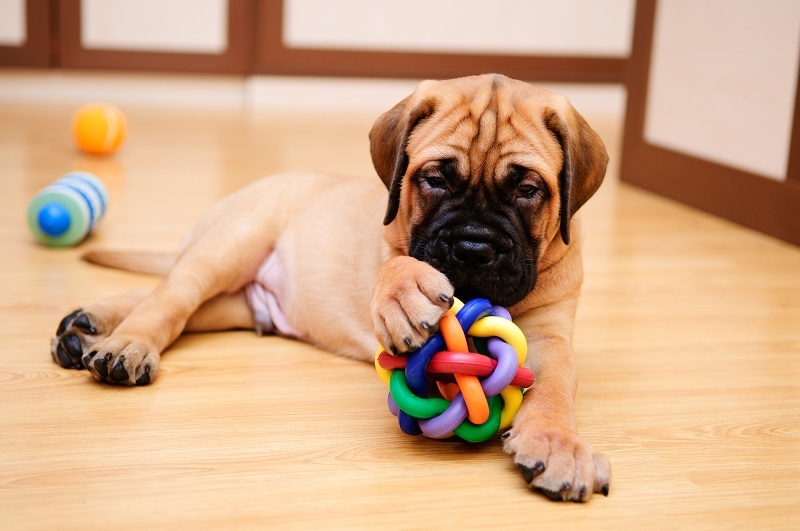 Remember to include a variety of different toys until you learn your puppy’s preferences. After setting up your puppy’s area, you’ll want to go through the whole house to make sure that it is safe for your puppy. You’ll need to put away or remove hazardous items, so your puppy can’t get into them – this is called “puppy-proofing.” Read these tips for more advice and follow the entire list below. If you have puppy-proofing ideas that we have not included in this list, please comment below and we will add them to this list. Put away all open food containers in a cupboard or pantry – any food left out on the counter needs to be in a container with a tight lid. Make sure that your trashcan and recycling bin have tight-fitting lids or put them away in a cabinet or the pantry. Store all of your cleaning products well out of your puppy’s reach – put them in a child-proof cabinet or store them on a higher shelf. Go through the house and pick up all of the small items you find on the floor and on low pieces of furniture where your puppy can reach – they could be a choking hazard. Wrap up electrical cords and blind cords, so your puppy doesn’t get caught up in them and accidentally strangle himself. Cover open bodies of water such as the toilet and don’t keep water in the bathtub – if you have an outdoor pond or pool, make sure it is covered or fenced off, or do not let your puppy near these areas without full supervision. Always store medications and toiletries in a medicine cabinet or closet. Keep doors and windows securely closed when your puppy is out and about – and be careful about opening/closing doors. If you have a cat, keep the litter box somewhere your puppy can’t reach – he may be tempted to eat the clumps. Make sure your garage is organized with no chemicals or other harmful substances kept on the floor or low shelving. Store your lawn and garden tools in a way that they can’t fall over and hurt your puppy. Find out if any of the plants you have in your home or yard are poisonous to dogs and remove them or fence them off. Check your backyard fence to make sure there aren’t any places your puppy can slip between slats or go under the fence. At this point, you should have a pretty good understanding of what is required to become a dog owner. It is when you actually bring your puppy home, however, that the real work starts. You will be responsible for caring for your new dog for the duration of his life, however long that may be. In the next section, you’ll receive valuable information about the things you’ll have to do in order to keep your new dog happy and healthy. The moment you bring your new puppy home, he becomes your responsibility for the next ten to fifteen years. Becoming a dog owner is a beautiful thing, but you mustn’t forget that you are responsible for your dog’s wellbeing – you are his friend but also his caregiver. You don’t have to check off everything on the list during the first few days, but you should make an effort to expose your puppy to something new every day. Some of the things you will have to do as a dog owner include socializing your new puppy and housetraining him. You’ll also need to understand the basics of canine nutrition so you can pick out a high-quality puppy food. It will be your responsibility to make sure your puppy gets to the veterinarian when he needs to and you’ll have to take care of your puppy’s coat as well. Keep reading to learn more about caring for your new puppy. Your puppy is very impressionable during the first three to six months of his life, so this is the time when you want to make sure that he has as many new experiences as possible. The experiences your puppy has now will help to shape him into a well-adjusted adult dog. If you fail to socialize your puppy properly, he may approach unfamiliar situations with fear as an adult. Once your dog develops a fear reaction, it can be difficult to turn it around. So, do yourself and your dog a favor by starting socialization as early as possible. Socialization is very easy – all you have to do is make sure your puppy has as many new experiences as possible. You’ll want to introduce him to all kinds of people – male, female, tall, short, light-skinned, dark-skinned, etc. You also want to get him used to different noises, different locations, and also different dogs and other household pets. The goal is to help your puppy form a positive association with new things. That way, in the future, if your adult dog is put in an unfamiliar situation, he will respond positively instead of negatively. Below, we’ve put together an extensive list of experiences you will want to expose your new pup to, as quickly as possible. Socialization is going to be an ongoing process for your new puppy. You don’t have to check off everything on the list during the first few days, but you should make an effort to expose your puppy to something new every day. Just remember that the goal is to get your puppy used to new things, but not at the expense of overwhelming or frightening him. Be sure to praise your puppy and reward him when he responds well to new things but give him a break if he starts to become frightened. Read this article to learn about a walk-through of socializing your dog with your cat. If you use your puppy’s crate correctly he will come to think of it as his den, and he’ll like spending time there. After socialization, the next big milestone you need to hit with your new puppy is housetraining. When your puppy is still very young, he will have a limited ability to hold his bladder and bowels, but it is never too early to start cultivating good habits for potty training your puppy. You should expect your new puppy to have a few accidents here and there, but you can still teach him that outdoors is where you want him to do his business. In order to teach your puppy this, of course, you have to give him the opportunity to do it. That means supervising your puppy very closely when you are at home to make sure that he doesn’t have an accident in the house. When your puppy is young, he can only hold his bladder and bowels for about one hour per month of age. So, a three-month-old puppy will only be able to hold it for about three hours. To prevent your puppy from having accidents in the house, then, you’ll need to take him outside at least once every three hours. It is better, however, to do it every hour or two while your puppy is awake, just to be safe. You’ll also want to take him out after he wakes from a nap and about thirty minutes after each meal. If you keep him in a crate overnight, let him outside as soon as you release him in the morning. The sooner you can begin potty training your puppy the less likely accidents are to occur in the house. In addition to supervising your puppy when you are at home, you should also start teaching him where you want him to do his business. 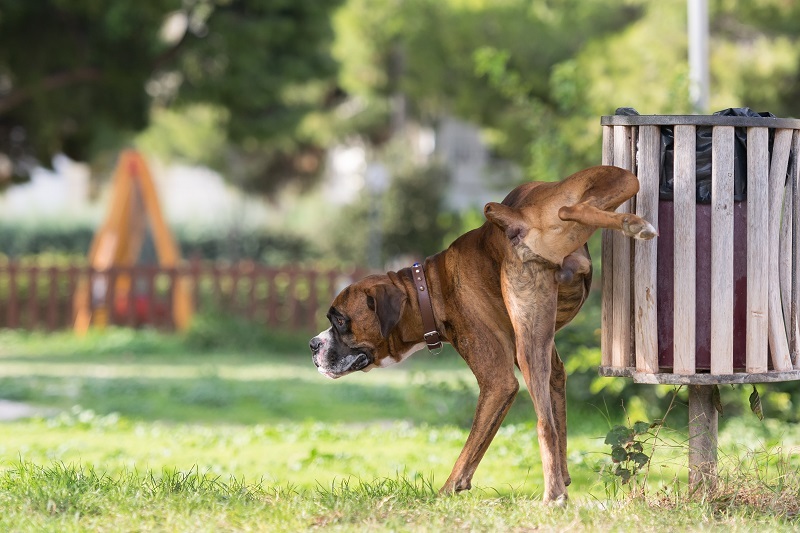 While some dog owners are fine with letting their puppy do his business anywhere he likes as long as it is outdoors, many dog owners prefer to teach their puppies to go in a specific area. If you teach your puppy to go in one corner of the yard only, that will make your job of cleanup much easier. It may also help your puppy to learn more quickly what you expect of him when you let him outside. If you always take him to that spot, he’ll eventually know what he is expected to do when he gets there. Click here for useful potty training tips. While your puppy may not be able to spend more than a few hours in his crate at a time at first, you can start as early as you would like to set the stage for housetraining. The overview below outlines the proper steps you should follow. Choose a particular part of the yard where you want your puppy to do his business – you can fence it off or just keep it open. Each time you take your puppy outside, lead him directly to this spot. Give your puppy a verbal command like “Go Pee” and wait for him to do his business. If your puppy does his business, praise him excitedly and give him a treat – if he doesn’t have to go, take him back inside and try again in 20 to 30 minutes. Watch your puppy carefully while he is awake, keeping him in the same room as you at all times. Take your puppy outside every hour or two and keep watch in between for signs that he has to go – he will sniff the ground, turn in circles, and squat. If your puppy starts to squat, clap your hands to distract him then quickly pick him up and take him to the appropriate area. When you cannot physically watch your puppy, put him in his crate – do not leave any food or water with him because it will increase the risk of an accident. Only keep your puppy in the crate for as long as he can hold his bladder and bowels – this may mean waking up once or twice during the night to let him out. Be consistent about taking your puppy to the same place, using the verbal command, and issuing praise and reward when your puppy does well. Some dog owners don’t like the idea of confining their puppy to a crate because they think it is cruel. If you use your puppy’s crate for punishment (like time out), he will form a negative association with it, and he won’t like spending time there. However, if you use your puppy’s crate correctly he will come to think of it as his den, and he’ll like spending time there. The key is to get your puppy used to his crate early and to never use it as punishment. For additional reading on crate training, check out this guide from the Association of Professional Dog Trainers. The quality of your puppy’s diet will play an important role in his health and wellbeing. Think of it this way: your puppy’s body is like a machine that is composed of many parts and systems. The machine needs fuel in order to keep these parts working and, if it doesn’t get it, the parts will start to break down, and the whole machine will be affected. If you don’t feed your puppy a high-quality diet that meets his nutritional needs, his body will not function properly, and it could lead to the development of a whole host of medical problems. Don’t settle for a low-quality puppy food just because it is cheap. You may end up paying the price later when your puppy develops nutritional deficiencies and other problems. If you don’t feed your puppy a high-quality diet that meets his nutritional needs, his body will not function properly. Before you choose a high-quality food for your puppy, you first need to understand the basics of dog nutrition. The most important thing you need to know is that a dog’s body is adapted to digesting and deriving nutrition from animal products more than plant products. Dogs are not strict carnivores in the way that cats are, but they still need a diet that is rich in meat. Puppies especially need high levels of protein in their diet to fuel healthy growth and development, though fat is also crucial and carbohydrates play a role as well. Protein is made up of amino acids – you may know them as the building blocks of protein. There are 22 different amino acids, and your puppy’s body is capable of synthesizing (or producing) 12 of them. The remaining ten are called essential amino acids because they have to come from your puppy’s diet. These amino acids can be found in proteins (both animal and plant proteins), but animal proteins like meat, eggs, and fish are called complete proteins because they contain all 10 essential amino acids. You can see now why protein is so important for your puppy’s diet. Fat is also an important part of a puppy’s diet because it provides a highly-concentrated source of fuel (calories) – your puppy needs a lot of fuel while he is growing. Like protein, fat is best when it comes from animal sources. Salmon oil, chicken fat, and other such fats are all good options. You’ll want to look for a product that contains at least 22% crude protein and at least 8% crude fat for your puppy. This information can be found in the guaranteed analysis printed on the labels. You’ll also want to make sure that the crude fiber content isn’t higher than 5%. Dietary fiber helps to regulate your dog’s digestion but, because your dog’s body is designed to process animal products more efficiently than plant products, too much fiber can actually cause digestive problems. It is important to feed your puppy a commercial dog food that is formulated specifically for puppies. These formulas tend to be higher in protein and fat than adult formulas, so you can rest assured that it will meet your puppy’s needs. Once your puppy matures, you should switch him to an adult food diet to make sure he gets the right nutrients in the appropriate amounts. Keep feeding your puppy his puppy food until he reaches about 80% of his maximum size, then transition him onto an adult diet. The amount of time it takes your puppy to reach 80% of his maximum size will vary depending on his breed. Small-breed puppies reach their max size in under 12 months while large and giant breeds may take as long as two years. Consult your vet about when is the right time to make the switch. When your puppy is still young, you’ll want to feed him three or more times per day. Your puppy needs a steady supply of energy to fuel his growth and development, so he needs to eat throughout the day. Small-breed puppies may require four meals a day, but most puppies do fine with three. Another option is to simply keep your puppy’s food bowl full throughout the day so he can eat when he wants to. This is a good option for puppies until they reach about six months of age or until they start to gain too much weight. For large-breed puppies it is a better idea to ration your puppy’s food because if a large-breed puppy grows too quickly, the growth might put excess strain on his bones and joints, increasing his risk for musculoskeletal problems as an adult. To make sure your puppy’s needs are met, consider a puppy food formulated for puppies of your dog’s size (small-breed, medium-breed, or large-breed). This detailed article from PetMD offers a lot of additional information about dog nutrition. Cheap Dog Foods vs. Expensive Dog Foods – What are the Differences? The first thing you need to know is that you should not shop by price. Now that you know a little bit more about your puppy’s nutritional needs, you may be wondering how to choose a commercial puppy food that meets those needs. The first thing you need to know is that you should not shop by price. Though this is not always the case, most of the inexpensive pet food brands out there are also the lowest quality. Pet food manufacturers keep the cost of their products low (as well as their own costs) by using low-quality proteins and inexpensive fillers. These products may meet your puppy’s minimum nutritional requirements, but not in the healthiest way possible. These products may increase your puppy’s risk of digestive problems and food allergies. Many dogs are sensitive to grains like corn and wheat as well as other ingredients like dairy, eggs, soy, and more. If you want to make sure that your puppy gets a high-quality diet, you’ll need to shop smart. Do a little research to find out what the top brands of puppy food are and then go to your local pet store to peruse your options. There are three things you should look at on a pet food label to determine the quality of the product. You’ve already learned about one of them – the guaranteed analysis. Check this part of the label to make sure that the product meets your puppy’s minimum requirements for protein and fat without going overboard on fiber. As a general rule, the higher the protein content the better. A little extra fat is okay as well, but keep in mind that fat is higher in calories than protein so too much fat could put large-breed puppies at risk for overgrowth. Another important part of a pet food label you should check is the AAFCO statement of nutritional adequacy. 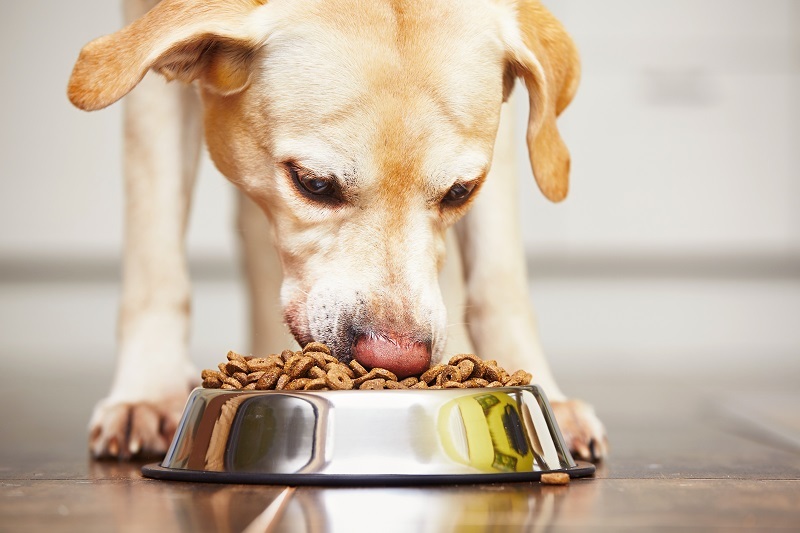 The Association of American Feed Control Officials, simply known as AAFCO, is responsible for regulating and monitoring the production of pet foods – it is like the FDA for human foods. AAFCO has established minimum nutritional requirements for puppies and adult dogs. Before a pet food product can be sold, AAFCO tests the product to see if it matches their nutrient profiles. If the product meets these minimum nutritional requirements, the package will carry a statement like, “[Product Name] is formulated to meet the nutritional levels established by AAFCO Dog Food nutrient profiles for growing puppies and gestating or lactating adult female dogs.” Keep in mind, however, that this statement only tells you that the formula meets your puppy’s minimum requirements – it doesn’t necessarily indicate a high-quality product. You will have to check the ingredients list to determine that. Similar to human food packages, pet food products have an ingredients list that is written in descending order by volume. This simply means that the ingredients at the beginning of the list are used in higher quantities than those at the bottom of the list. So, you want to see high-quality, animal-based ingredients at the top of the list for a high-quality puppy food. Protein should always come first, so look for fresh meats or meat meals. You’ll also want to see some high-quality fats, ideally animal-based sources. Remember, you want to see ingredients that are easy to identify – anything that sounds like a chemical is probably not a good ingredient. Similarly, you want to see named sources for proteins and fats. For example, salmon oil is better than fish oil and chicken meal is better than poultry meal. Ingredients that come from unnamed sources may not be of high quality, though you have no way of knowing because it isn’t indicated in the name of the ingredient. Another thing to keep in mind about puppy foods is that products with shorter ingredient lists are usually better than those with long lists. If you compare the ingredients list for a product that lists only 12 ingredients to one that lists 30, you’ll find that most of the ingredients at the end of the list are supplements and chemicals. The problem with supplements in dog food is that your puppy’s ability to absorb synthetic supplements is much lower than his ability to absorb natural ones. So, fresh fruits and vegetables are a better source of essential vitamins and minerals than synthetic supplements. If a puppy food has lots of synthetic supplements, it probably means that the natural nutrient content of the ingredients was probably destroyed during processing. This is why raw foods and freeze-dried foods are so great – they aren’t cooked at high temperatures that can destroy nutrients. In addition to keeping an eye out for synthetic supplements in your puppy’s food, there are also some other ingredients you want to avoid. It is best to avoid products that contain any corn, wheat, or soy ingredients. Not only are these common food allergens for dogs, but they offer very little nutritional value – they are usually used as fillers. Watch out for plant proteins as well – things like corn gluten meal and pea protein – because they can be used to increase the protein content of a product without adding more meat. Plant proteins are less biologically valuable for your puppy than animal proteins. And don’t buy any products that are made with artificial flavors, colors, or preservatives. Coloring agents are usually used to make a product look more appealing to consumers – they don’t provide any benefit. Flavoring agents are used to make a product more palatable to dogs – they also don’t offer any nutritional benefits. Once you’ve chosen a puppy food for your puppy, you’ll want to transition him from the food the breeder gave him to the new product. Start by mixing 25% of the new food with 75% of his old food for two days. After two days, mix 50% of each for a day or two then move on to 75% of the new food and 25% of the old food. As long as your puppy doesn’t develop any digestive issues during this process, you should be able to switch him completely onto the new food within 5 to 7 days. If your puppy develops digestive problems, go back a step and stay there for a few days. If your puppy’s digestive issues persist, you may want to consult your veterinarian. Vaccinations are very important to keep your new pup in good health. By the time your new puppy is ready to come home from the breeder, he will probably already have some vaccinations under his belt. Once you get him home, however, you’ll still want to have him checked out by your own veterinarian within a few days. Your vet will be able to confirm that your puppy is in good health and he’ll also tell you what you need to know as far as your puppy’s vaccination schedule. He’ll need certain shots every three to four weeks until he has established immunity. After the first twelve months, then, he’ll only need a booster shot once a year or every three years, depending on the particular vaccine. The specific vaccines your puppy will need may vary a little bit depending on where you live. The shots you should expect your puppy to get, however, include rabies, distemper, parvovirus, adenovirus, parainfluenza, Bordetella, Lyme disease, leptospirosis, and canine influenza. Your puppy should have his first shot for most of these around six weeks of age, though others aren’t necessary until 9 or 12 weeks. Your puppy will only need one dose of the vaccine for rabies and Bordetella, but he’ll need two shots for Lyme disease, leptospirosis, and canine influenza. He’ll also need three doses of the vaccines for distemper, parvovirus, adenovirus, and parainfluenza. In addition to getting your puppy’s vaccinations taken care of, you’ll also want to talk to your vet about flea and tick prevention, as well as heartworm. Flea bites can irritate your dog’s skin, and some dogs actually have an allergic reaction to flea bites. Plus, fleas can be very difficult to eradicate once you have an infestation, so prevention is your best bet. Ticks carry a number of dangerous diseases including Lyme disease and Rocky Mountain Spotted Fever, so you’ll want to protect your puppy from those. Starting at six months, your puppy should also start taking a heartworm preventive. Protecting your puppy against fleas and ticks is very easy – you just need to purchase a topical flea and tick preventive. Ask your veterinarian for recommendations about which brand to choose – don’t be immediately tempted to purchase a low-cost product. There have been many problems in recent years related to inexpensive flea and tick products that have caused nasty side-effects – it is worth paying a few extra dollars for a high-quality product. You’ll want to make sure that any product you choose protects against eggs, larvae, and adult fleas and ticks. Most products need to be reapplied every 30 days. Heartworm prevention is something many dog owners don’t think about, but failing to protect your puppy could be a fatal mistake. Mosquitoes transmit heartworms – this is the only way your puppy can get the disease. When a mosquito feeds on the blood of an infected animal, it takes some of the baby heartworms in as well. The larvae develop inside the mosquito over the course of the next 10 to 14 days. Then, when the mosquito bites your puppy, it transfers some of the larvae into your dog’s bloodstream where they travel to your puppy’s heart. The larvae develop into adult heartworms over the next six months, and they can spread throughout the body to the other organs. At this point, your puppy may show symptoms including reduced exercise tolerance, persistent cough, loss of appetite, and unexplained weight loss. If the problem is treated, your puppy can develop even more serious symptoms including lung disease, organ damage, and even heart failure. Unfortunately, because it usually takes six months for symptoms to manifest, by the time you notice them it could be too late. This is why it is important to prevent heartworm in the first place. You can start puppies under seven months with a monthly heartworm preventive, though you’ll want to have him tested six months later just in case. If your puppy is over seven months, you’ll need to have him tested for heartworm before starting treatment and then tested against six months later. Never skip out on properly grooming your dog. In addition to making sure that your puppy has a healthy diet and sees the vet on a regular basis, you’ll also need to care for his coat at home. Depending on the type of puppy you get, you may have to brush your puppy’s coat on a daily basis, or you may be able to get away with just some weekly maintenance. Longer coats tend to require more frequent grooming than short coats, though coats of any length can shed. Brushing or combing your puppy’s coat is the best way to keep shedding under control, and it will help to distribute the natural oils produced by your puppy’s skin that help to keep his coat soft. In terms of what kind of supplies you’ll need for grooming your puppy, you should invest in a quality brush, a wide-tooth comb, and a shedding rake. You’ll use the brush for daily brushing and, if your puppy has a long coat, you may need the comb to work through tangles and mats. If your puppy has a double coat, the shedding rake will help to remove shed hairs from the undercoat before they fall to the floor. There are many different kinds of grooming tools, so you may want to talk to a professional groomer about the best tools to use for your puppy’s coat. It also isn’t a bad idea to take your puppy to a professional groomer so you can watch him groom your puppy once – this is the best way to learn how to do it yourself. If your puppy has a long coat, you may also have to trim it occasionally. Again, having a professional groomer show you how is usually the best way to go. Your other option is to simply have your puppy professionally groomed very 4 to 8 weeks, depending on how fast his coat grows. You may still need to brush your puppy’s coat at home, and might also need to bathe him once in a while. 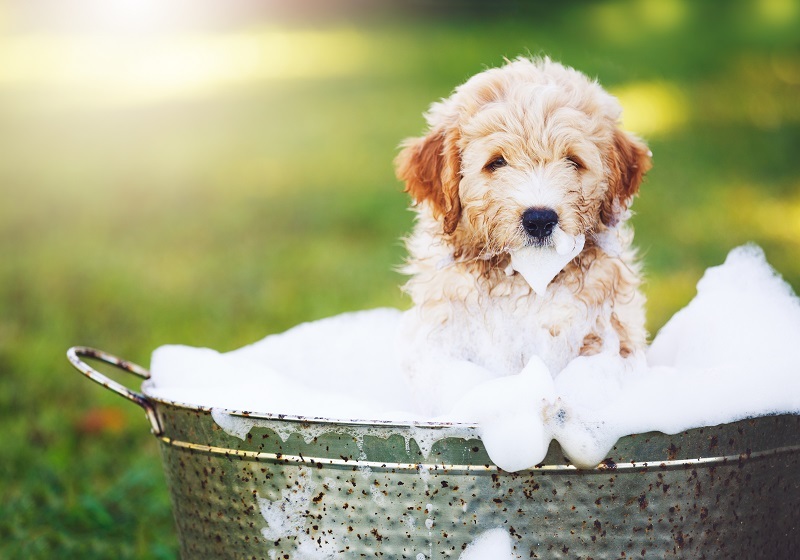 When bathing your puppy, fill the bathtub with just a few inches of lukewarm water – you might also put a towel down or use a bath mat to keep your puppy from slipping. Wet down your puppy’s coat then apply a small amount of mild, dog-friendly shampoo and work it into a lather. After cleaning your puppy’s coat, rinse it well then use a towel to dry it. As you are bathing your puppy, take care not to get his ears or his face wet. Puppies that have flop ears (ears that hang down on either side of the head) have a high risk for ear infections if their ears get wet. Erect ears (or prick ears) are open to the air, so moisture doesn’t get trapped and allow bacteria to grow. To keep your puppy’s ears clean, you’ll want to have some dog-friendly ear cleaning solution on hand. Squeeze a few drops into your puppy’s ear canal then massage the base of the ear with your fingers to spread the solution. Then, use a clean cotton pad or cotton ball to remove any discharge, ear wax, and extra solution. You should clean your puppy’s ears once a week or so. Not only do you need to keep your puppy’s ears clean, but you should also take care to keep his teeth clean. 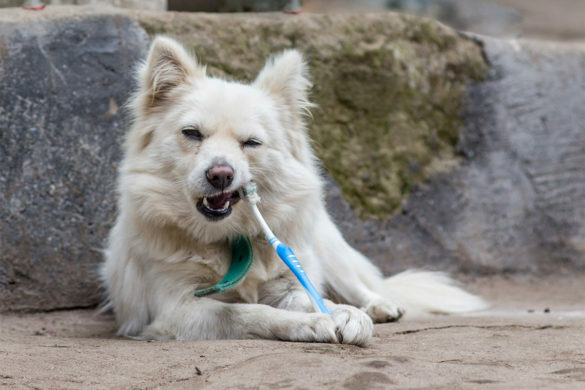 The thought of brushing your puppy’s teeth may sound silly, but dental hygiene is critical. By the time they are one year old, as many as 30% of puppies have some level of dental disease. For this reason, it is a good idea to start brushing your puppy’s teeth early – it will also be helpful for you to get him used to the treatment at a young age. You’ll need a dog toothbrush and some dog-friendly toothpaste. Start by getting your puppy used to having his mouth and teeth touched using your fingers a few times a day. Then, work up to touching your puppy’s teeth with the toothbrush, then add some toothpaste. When you start brushing, do a few teeth at a time and work up to brushing your puppy’s entire mouth after each meal. Don’t miss these important tips for maintaining good oral hygiene. The final aspect of grooming you’ll need to worry about for your puppy is trimming his nails. If your puppy spends a lot of time outdoors, his nails may stay filed down on their own, but you’ll still want to check. Your puppy’s nails grow continuously, and if they are not trimmed, they could curl under and grow into your puppy’s paws, or they might get caught on something and be torn off. Trimming your puppy’s nails is very easy, though you may want to have a groomer or vet show you how to do it before you try it yourself. Keep in mind that your puppy’s nails each contain a quick – the vessel that supplies blood to the nail. If you cut the nail too short, you could sever the quick and that will lead to excessive bleeding. Just trim the sharp tip off your puppy’s nails once a week or so and keep some styptic powder on hand to stop the bleeding if you cut too far. Learn more about how to do this here. When you are not able to watch your puppy yourself, you’ll still want to know that he is being taken care of. If you work a full-time job, you may have to make arrangements for someone to let your puppy out during the day until he is old enough to hold his bladder for a full work day. A family member, friend, or neighbor are all good options for people who can help you out. If none of these options are available to you, however, you may need to hire a pet sitter. Pet sitters offer a variety of different services. 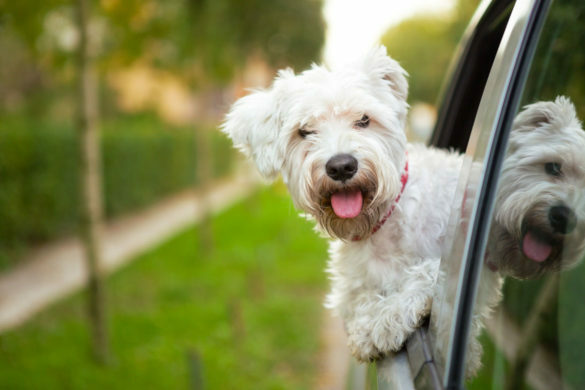 In many cases, they will come to your home – you won’t have to take your puppy anywhere. You can hire the pet sitter to simply come and let your puppy out once or twice a day, or you can hire them to take your puppy for a walk. If you want to, you could also hire a pet sitter to spend the whole day with your puppy while you are away at work. There will be different costs associated with each of these different services. This is also something to keep in mind that relates to your budget. In some cases, if you are going away for example, you may actually be able to take your dog with you. Click here to read about places where you can bring your dog for vacation, and click here to learn about companies that allow you to bring your dog to work with you! By now you should have a thorough understanding of what it takes to become a responsible dog owner. Bringing home a new puppy isn’t all fun and games – you must take your responsibility seriously and always keep your puppy’s best interests in mind. Hopefully, the information provided here will answer all of your questions and help you to become the best dog owner you can be. Feel free to share this article with your community or someone who may have told you they are interested in getting a dog. You will help them understand exactly what is required of them.